Waiting on Wednesday is a weekly meme hosted by Jill at Breaking The Spine. It features each blogger's most anticipated books! This week, my pick is Smashed by Lisa Luedeke. Summary: "A field hockey star grapples with addiction in this riveting debut that will appeal to fans of Laurie Halse Anderson’s Speak. Except that she wasn’t. On a rain-soaked, alcohol-drenched night, one impulsive decision leaves Katie indebted to Alec in the worst possible way. This debut novel is a fast-paced and compelling story of addiction, heartbreak, and redemption." Why I Can't Wait: The fact that says this will appeal to fans of Laurie Halse Anderson's Speak immediately makes me want to read this. I'm a huge fan of Speak, and if a book has the honor of being compared to it, than it must be made of win! 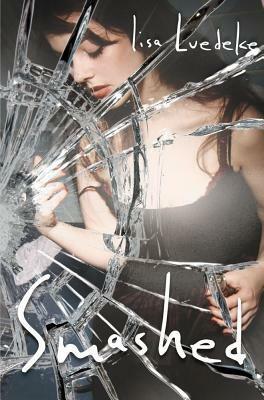 Smashed sounds like a darker contemporary novel, and this intrigues me. I'm already wondering what Katie did and how she's indebted to Alec! What do you guys think? Is this something you'll be checking out? Oooh - this sounds good and twisty and complicated. I have not heard of this one but it sounds totally intriguing! I love the cover, and this book sounds great.